Most anglers and boaters are often bombarded with the latest and greatest in technology to improve the way we fish and target the species we fish for. This can be quite overwhelming and can often lead to confusion of what is best for the way we fish. Every type of fishing has its own specialized techniques, gear, and presentations that make it unique. These can be overwhelming to those that are just starting out and can often lead to the angler making snap decisions and purchases that they often regret. Over the years I have gone through fad after fad in the fishing world and have also utilized equipment from a large variety of suppliers. One thing that I have found is that many of these companies are producing equipment to catch the fisherman and not always to catch the fish. This can be an expensive learning curve, however if you take your time to do a bit of research you may just find yourself finding that one company that does it all for your needs. As a multispecies fisherman I need to always keep my techniques open to change and cater my gear to just about every fishing situation. This can be tough as I am not a rich person and I don’t make my living with a fishing rod in my hand. However, I have found that the one thing to keep in mind when looking at your gear is to look at the company that is behind the name. A name is just that a name, but if there is something behind it to back it up then you are on the right path to having the equipment to get the job done. In my case I have had to “kiss a lot of frogs” to find the right company to help improve the way I fish and over the last few months there has been one company that has changed my view on how the fishing world is run. 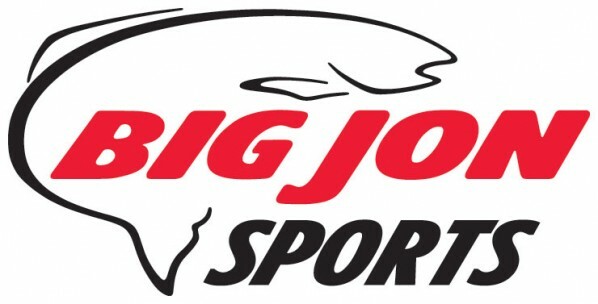 Big Jon Sports is a Michigan based company that provides the angler with some of the highest quality rod holders, downriggers, and specialty products for the trolling angler. Their products have changed the way I look at fishing the great Lakes for Salmon and Trout as well as other areas for walleye and even bass. I was fortunate enough to meet with John Pampu, CEO, and Jarod Timmer, General Manager at their facility in Interlochen, Michigan. Not only was I welcomed with a firm handshake, but Jarod grabbed me and hugged me as though I was a long lost relative of his. Needless to say I felt like family from the moment I walked into the building. Mr. Pampu had taken over the company just over three years prior from the original Big Jon himself and he and his right hand man Jarod have been working with the fisherman on a one-on-one basis ever since. The key that they like to believe in is that they are American made and that they build equipment for the fisherman, by fishermen. It is one thing to have your finger on the pulse of the outdoor world and it is another to actually dictate just how fast that pulse is beating. With a strong crew behind them John and Jarod are taking the Big Jon name and not only keeping its reputation alive, but also introducing it into new markets in order to accommodate the fisherman. While I was there I offered up my boat to the crew in the shop to experiment on and the moment I pulled the trailer into the back door they were on it likes ants on a dropped piece of chocolate. Working their magic they customized my existing equipment to better suit the way I fish and the result was nothing short of amazing. There are a lot of companies out there that produce trolling equipment, but many of them loose touch with the end-user and there is just too much of a disconnect between the company and the angler. Big Jon strives to break down this wall and is there to help the angler out to better their time on the water. From Salmon to walleye, to stripped bass their equipment is put to the test by some of the best in the business and I know that I can always count on the product to perform as it should. If it doesn’t then they have a crack service department that can accommodate repairs on any of the equipment that they sell or have sold in the past. The next time you are looking for a new addition to your boat, think about what you are looking for in a company. Not only does the product speak for itself, but the company that is behind it makes it even that much better.